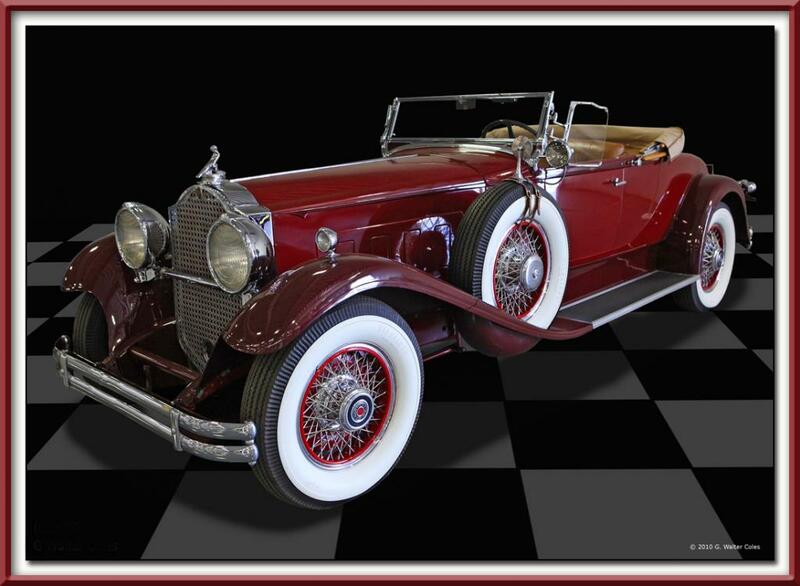 I have a friend who has a collection of two dozen beautifully restored old cars...mostly Packards, Auburns and Cadillacs. Here is a Packard of his. Fantastic job again Walter. You have your close cropping down to a fine art. Im glad to see this because its usually where pics fall flat. Every aspect of this piece of art is right on except for the problem I see, and maybe its only me, but the car seems to be floating about 4 inches off the floor. I wonder what it is about the shadow that that can be changed to put it flat on the floor? You should think about printing a limited edition Car Collectors calendar. Id be glad to make up the calendar body. All you would have to do is drop in your photos. And Bob's your uncle. Bynx, I think if I had darkened the shadow effect more it would have anchored the car a bit better. What do you think? And, thank you, Ordo, for the nice comment.